XCOR Aerospace has acquired Space Expedition Corporation, the previously independent Dutch company which served as general sales agent for the XCOR Lynx and XCOR’s first wet-lease customer. The new sales entity, XCOR Space Expeditions, will continue to focus on sales, commercial partnerships, and participant training on a global level. XCOR Space Expeditions will also serve as a sales channel for future wet-lease customers. 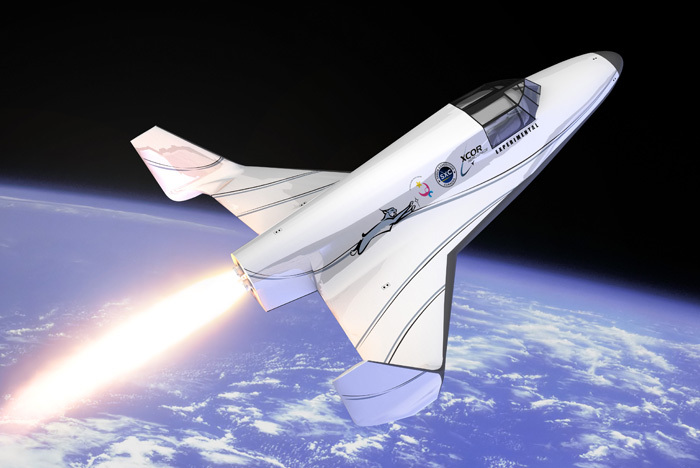 According to a press statement, the acquisition signals XCOR’s commitment to being “the most active space flight company in the world,” with the highest frequency of flights and fastest learning curve. Since 2000 I have been trying to get “The Next Frontier” accepted in place of “The Final Frontier.” My first newspaper column was titled “The Next Frontier,” and ran in one of the Elko, NV newspapers in 2000. Since then I’ve had over 90 articles published in “Space Future Journal,” (www.spacefuture.com) a publication devoted, among other things, to space tourism and space based solar power. The citizen accomplishments and disappointments were always a source of material. Typically acquisition press releases list the amount and kind paid. Ahh, it was an “all-stock transaction”.